MORTGAGE CUSTOMERS WHO are in arrears are being urged to take action in the new year and seek help from the services that were put in place over the last few years. Solicitor Damien Sheridan is a private practitioner who volunteers his time through the Money Advice and Budgeting Service (Mabs). He has attended repossession courts a number of times over the last year and also meets with people in his office, though the Abhaile voucher scheme, which funds an advice session with a solicitor. In many cases, Sheridan said people had left it until the last minute to seek help. “That is changing now, a lot more people are becoming aware of the scheme,” he told TheJournal.ie. If they don’t the county registrars will more than likely give the order for possession. If you do turn up, the usually give people every opportunity, they’re more reluctant to give the order. Even if the order is made, people can still go to Mabs and they can contact lenders on their behalf and say ‘Look, we buried our hands in the sand at the time, but we’d really like to try to make a deal now if at all possible’. Even if an order is made, it’s not too late. The Abhaile scheme only covers a consultation with a solicitor who will issue the borrower with a letter of advice. Sheridan said duty solicitors at the courts can also ask permission to speak on a person’s behalf, but they make it clear that they are not on record for those people. Based on consultations through the scheme, solicitors like Sheridan have taken on a number of cases in their private practices. We had one in the High Court recently where we realised there was an issue with the bank’s paperwork so we managed to get that struck out. One of the main lenders at the moment has serious issues in relation to the title. Sheridan said he would like to see an expansion of the Abhaile scheme so that people can access full representation through it where the solicitor feels there is a good defence to proceedings. One option that is open to people who are being pursued by their lenders for arrears is the personal insolvency route. Arrangements under the personal insolvency legislation provide for some of your unsecured debt to be written off and for you to restructure whatever is left and make affordable payments. Personal insolvency practitioners (Pips) use a protective certificate to protect the borrowers assets for a 70 day period while they try to put an agreement in place with the lender. If the creditor vetoes the proposal, the court can then be asked to review the case circumstances and make a ruling. Under the Abhaile scheme, borrowers can also get a voucher for free advice from any of the Pips on the service’s panel. 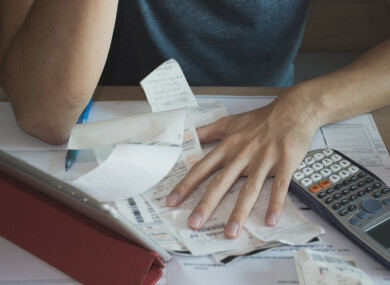 Personal insolvency practitioner Mitchell O’Brien, who has dealt with hundreds of cases, described this legislation which was introduced in 2013 as”revolutionary”. We are the only jurisdiction in the western world that has a judicial scheme for the restructuring of secured debt while the debtor retains the ownership of the secured assets. It’s the only country in the world where you can force the writedown by a mortgage lender on a family home. More than 1,974 personal insolvency arrangements have been approved since the Insolvency Service of Ireland was launched, including more than 600 in the first nine months of this year. O’Brien said the initial phases of introducing the legislation were slow because it was a new model and there was push-back from creditors who tried to challenge it at every turn. “There is a solution for everybody in personal insolvency who is in mortgage arrears,” he said. One of the most notable decisions this year in relation to personal insolvency arrangements, according to O’Brien, was that of Justice Baker in the High Court in November. Shoreline Residential, which is an affiliate of vulture fund Loan Star, had vetoed an arrangement and was seeking to repossess a couple’s home. The judge, however, ruled that the arrangement should be implemented, which meant a writedown of the outstanding debt from €323,626 to €190,000. It also extended the term of the loan and fixed the interest rate for the entire outstanding term to 3.65%. “Remember any decision coming out of the High Court will bring all the Circuit Court judges in line. That one decision alone has probably solved mortgage arrears and repossessions for maybe 20,000 households. That’s more significant than five years of a social housing building programme by government,” O’Brien explained. He said the process has been a “David and Goliath situation” for personal insolvency practitioners, often in small practices around the country, as they learned the limits of the new legislation and battled against massive financial institutions. “The good thing for the debtor, though is that once you get to a Pip, the debt problem then is pretty much the Pip’s problem. The Pip will tell them what amount is reasonable for them to be making as a payment and they’ll start making that immediately. You’ll find more information about Mabs services on its website, or you can call 0761 07 2000. Email “'There is a solution for everybody': Debtors urged not to put their heads in the sand in 2018”. Feedback on “'There is a solution for everybody': Debtors urged not to put their heads in the sand in 2018”.